Samarpan is the culmination of all spiritual sadhanas, and the ultimate point of human evolution. It is a process of unconditional self-surrender in which the limited, individual ego is transformed, over thousands of life - times, into an instrument of the divine will, able to commune with God and to serve His entire creation. 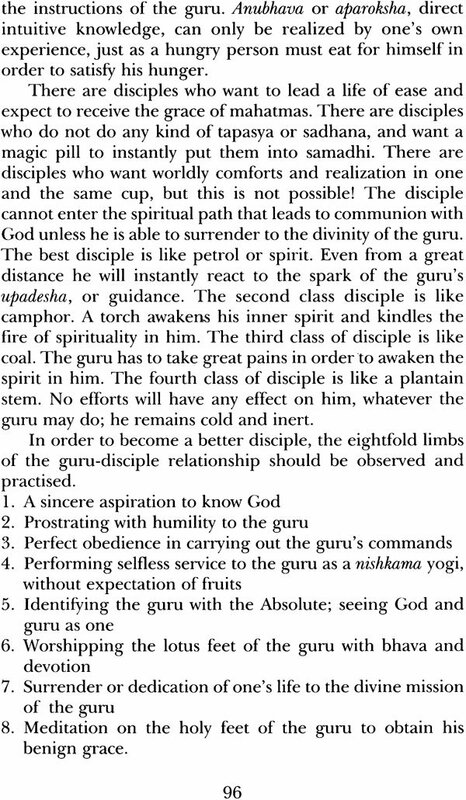 guru-disciple relationship, and the subtle realities facing every devotee treading the path of self-surrender. Samarpan: Living the Divine Conneaion is an offering to all spiritual aspirants, a reminder of the grand purpose of human life and an inspiration to attain it. 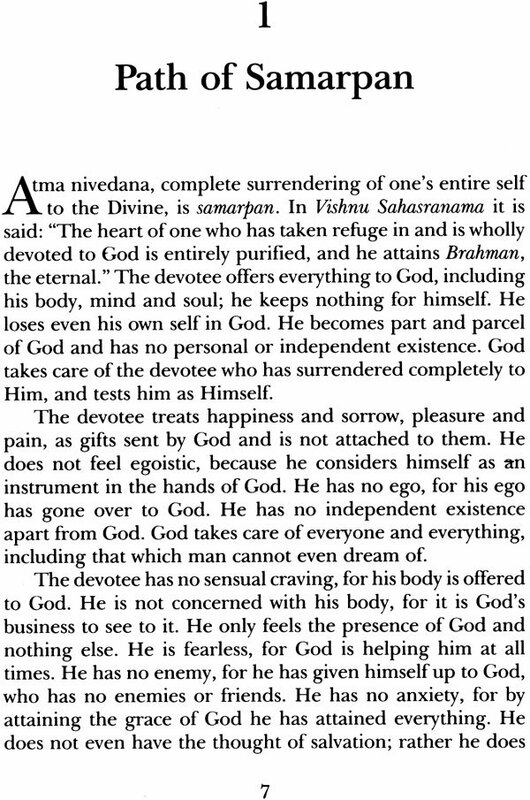 Samarpan is total offering to God of one's entire individual existence. It is a state in which the limited identity that separates the individual soul from the Divine, from the eternal oneness behind all forms, is transcended forever. This book presents the teachings on samarpan as expounded by two great spiritual masters, Swami Sivananda and Swami Satyananda. 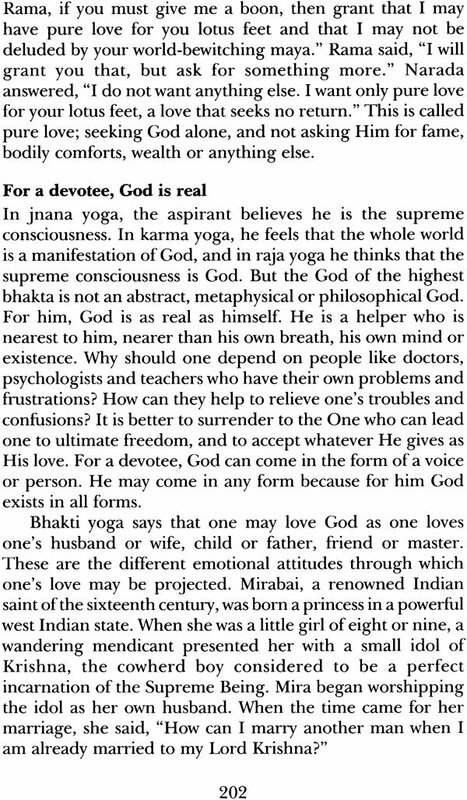 The concept of samarpan is taken beyond the usual descriptions of devotion and bhakti and revealed as the culmination of all spiritual sadhanas, through which an aspirant is able to transform himself into an instrument of the Divine, for the well-being of the entire creation. Samarpan is the highest virtue and highest state of consciousness any spiritual aspirant can aspire for, when one is able to identify completely with the pure inner nature, the all-pervading, universal consciousness. It is an experience that dawns as a timeless moment when one's soul awakens to the reality that everything is a manifestation of the Divine. Every pleasure and sorrow is His, every breath is His miracle, and every day is His glory. Awakening to this moment, one begins to view and live life from a divine perspective, knowing beyond doubt that the entire manifest and unman fest creation is but a play of the divine will; that life itself is nothing but His grace, and that we are simply instruments in His hands. In the state of samarpan, when one is able to spontaneously surrender to the will of the Divine, life is permeated with bliss and becomes an uninterrupted flow of mystic communion and worship. It is only then, when communion with the Divine has been established, that the ultimate offering of the self can be made. The highest attainments of divine life are then offered for the welfare and spiritual up liftmen of humanity. These teachings, which reveal the magnitude and eternal splendour of samarpan, have a transformative quality which allows the reader a chance to be lifted out of ordinary everyday consciousness, way beyond the veil of limited individuality, into the transcendental persona of those who live upon this earth merged fully and completely in God. They introduce the reader to the highest mystical concepts of supreme love, devotion and humility; the power of faith and trust in oneself and God; perfect detachment and dispassion; supreme contentment and equanimity. 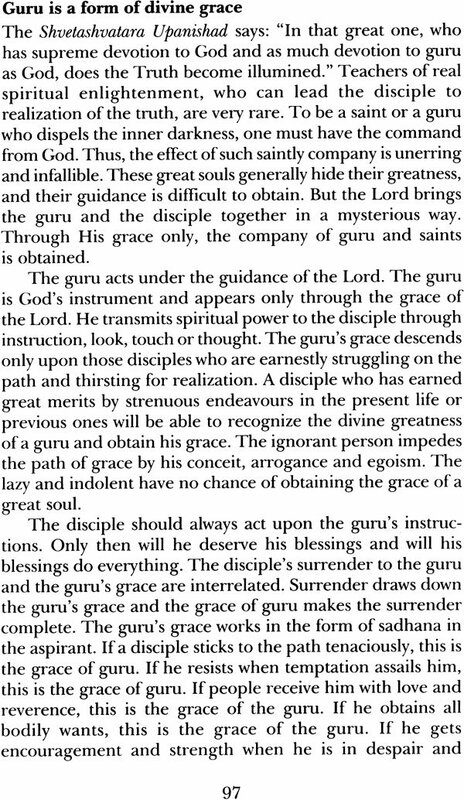 The essence and necessity of the guru-disciple relationship is revealed, and the relevance of divine grace and divine will explained. 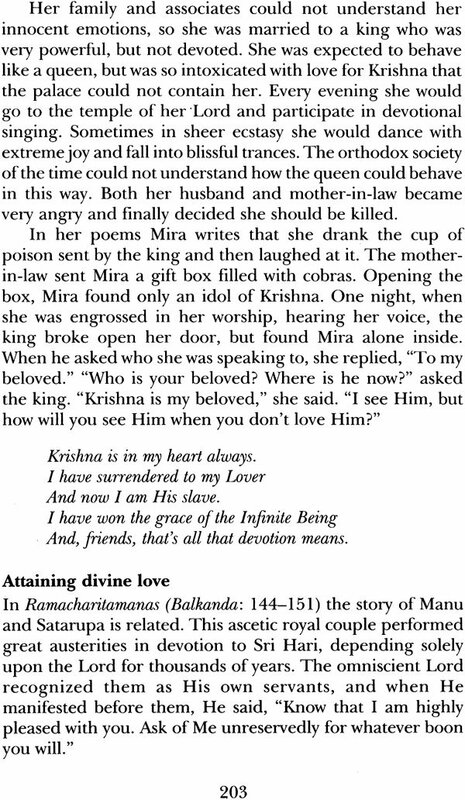 The euphoric beauty of unconditional and absolute surrender to the Divine is held up before the reader as the final point of human evolution. 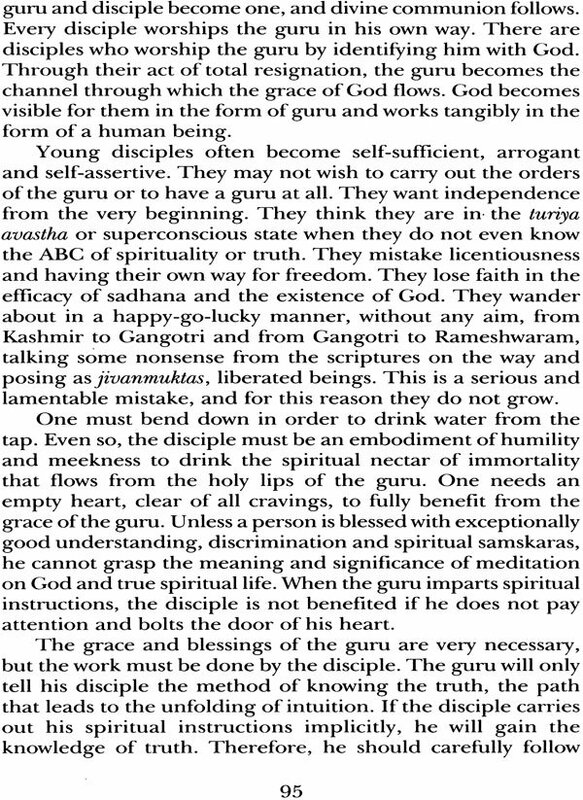 Thousands of spiritual aspirants have asked both Swami Sivananda and Swami Satyananda about self - surrender; how to practice it, and how to see and commune with God. The wisdom they have offered is presented here, as the eternal truths of the ancient science of yoga. 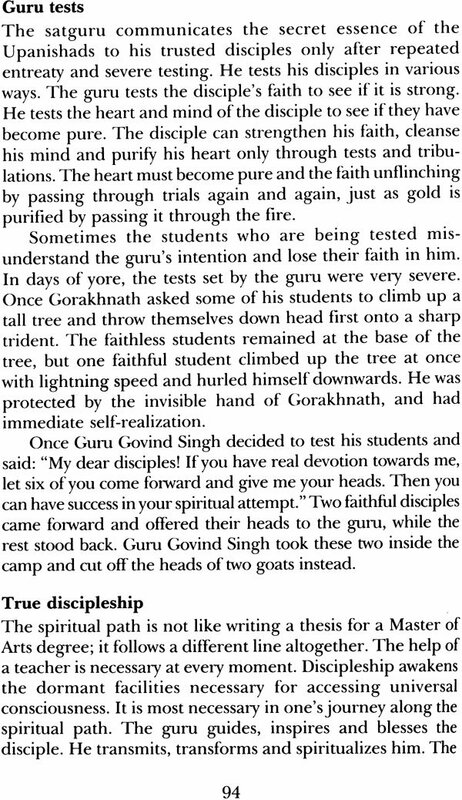 The subtle realities of treading the path unfold, making it clear that mere intellectual study or verbal surrender is not enough to attain the goal. Self-surrender is not just thinking that one wants to surrender. Simply saying that one will leave everything in God's hands is not at all difficult. 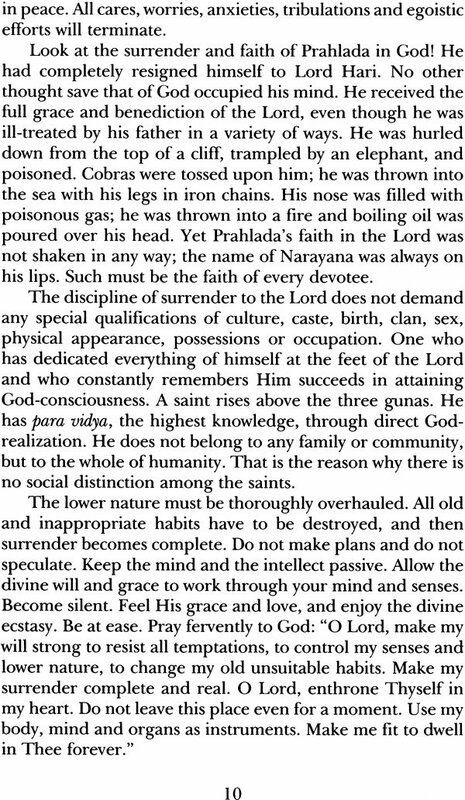 However, the application of samarpan in one's daily life is an entirely different matter, because through ignorance God has been forgotten. We have surrendered to the senses, to worldly enjoyments, and we are afraid of losing ourselves. The whole process of samarpan unfolds over thousands of lifetimes as the individual searches for something that will give life a meaningful purpose. It is a process of awakening to the eternal essence within each and every human being, within everything that exists. It is process of becoming aware that we are trapped in a habitual, limited personality and seeing how one's identity is restricted to worldly roles, to infatuations with people, places and events. The very edifice of life is guided by one's self-centered ego: thoughts are guided by the ego, expectations are motivated by the ego, all efforts are energized by the ego, and all responses, reactions and identifications are associated with the ego. Consequently, a pertinent message of these teachings is that samarpan sadhana requires an irrevocable commitment, a single- minded devotion of head, heart and hand in order to transform the personal ego, step by step, into a selfless entity that lives for universal well-being. Only when empty of individual ego is one able to become God's instrument and live according to the divine will. Until then, it is not possible because the ego is the barrier between the human being and God. Both Swami Sivananda and Swami Satya nand a speak from their own enlightened understanding of the secrets of spiritual life. 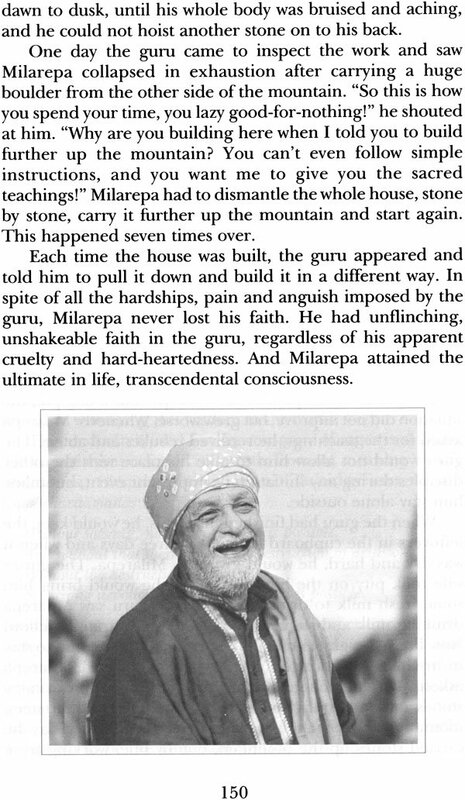 Their inspiration and guidance come from their own experiences of self-surrender; from their years of sincere and untiring service to guru and humanity; from their invaluable first hand encounters with the difficulties, sacrifices and frustrations that confront even the most dedicated spiritual aspirants; and from their own arduous austerities and sadhanas, which have taken them into profound states of cosmic consciousness, and allowed them to reach the heights of divine life. If we can surrender our self to God, the purpose of existence as a human being will have been achieved, for one who has realized God sees that God and His entire creation form a whole. Only one consciousness is seen very where. One consciousness has become the universe and every - thing in it. 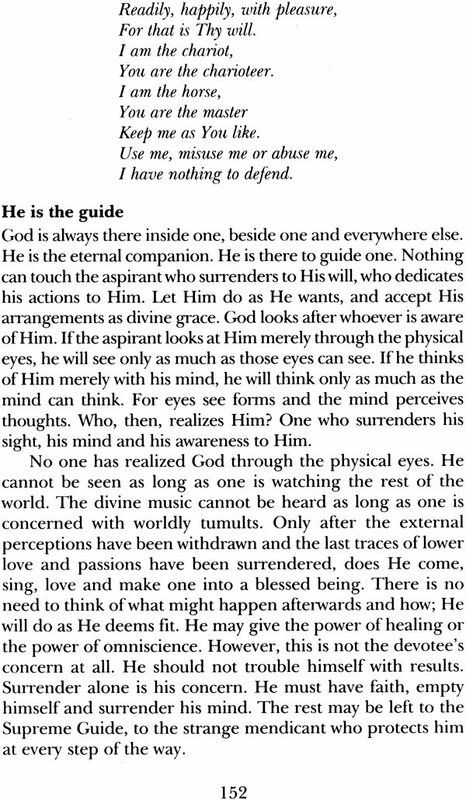 In the words of Swami Satyananda: "When will you realize Him as the creator as well as the 'soul and stuff' of creation? He has expressed Himself in His creation; He is not separate from it. Just as ornaments made from gold are nothing but gold, and pots fashioned from clay are nothing but clay, His creation is nothing but His manifestation. Creation is nowhere without Him. Everything is an expression of absolute consciousness. God is with form and without form; both are His attributes, they are one and the same. He reveals Himself in and through whatever form you choose to find Him. It is nothing but His grace, His will. 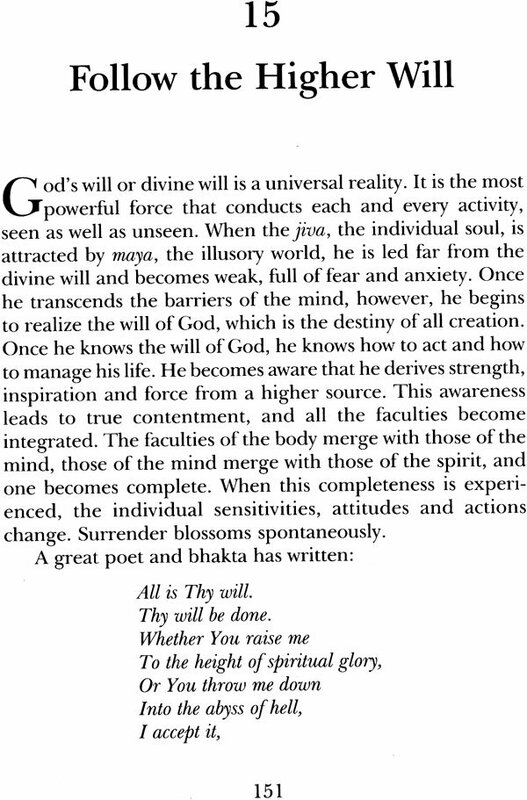 Surrender the identity of your ego into God consciousness, because only then will He commune with you. Your individual consciousness must be totally consumed for this very purpose."